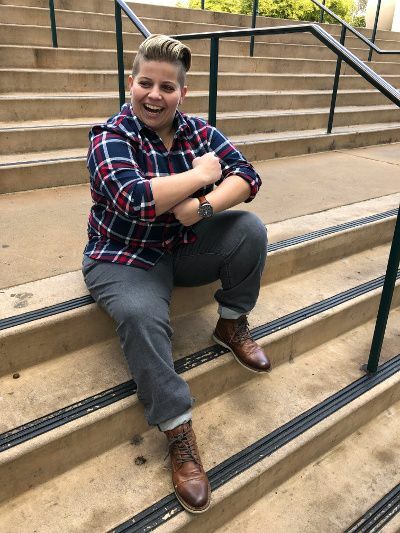 And even though as individual butches we’ve all got our own unique spin, there are enough similarities between us that distinct butch categories begin to emerge. This list is by no means exhaustive, but let’s take a peek at a few different types of butches you might recognize. There’s types you’ll encounter out in the world, and maybe even some types you’ll see in the mirror. Maybe you’re one type of butch today, and a different type tomorrow. But be warned, just like the whole “yellow car” jedi mind trick: Once you get a certain type of butch in mind, you might start seeing them everywhere (it’s called the Baader-Meinhof phenomenon and yes, it’s a real thing). Shane’s haircut in Season 2 of The L Word. You know the one. Shane (at least in S2) is a textbook Flat Iron Butch. 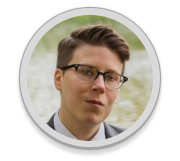 This butch exists in the space between regular clipper cuts and true Long Hair Butch territory. Their hair is noticeably short, but long enough that they can’t really use pomade or clay to style it without it getting too weighed down due to the extra length. In this state of hair limbo, the flat iron is their secret weapon. Without it, they look more like the Bieber Butch. Bangs are non-negotiable in the Flat Iron Butch equation. If hair this length is slicked back away from the forehead, all the sudden we’re in Pompadour Butch territory. Thanks to their little ceramic friend, the Flat Iron Butch’s hair is all sleek lines and endless angles you can get lost in for hours. They’ll understand, they get lost in it too - this butch tends to love mirrors. It’s part of their charm. So is the extra time it takes them to get ready. It requires patience and dedication to be a Flat Iron Butch. For starters, there’s the heat damage to your hair, not to mention the occasional hand burns. Humidity throws you off your game and sends you scrambling for a hat. People tend to assume you have commitment issues and “don’t do relationships”. But Flat Iron Butches, like honey badgers, don’t give a damn. Flat Iron Butches are used to it. Bears aren’t just for gay men, after all. Teddy Bear Butches possess a warm fuzzy aura of “cuddle game on lock”. Strong arms that make you feel so safe and cared for? Check, check, and double check. They also love to tell stories and make people laugh. That’s why teddy bear butches account for 75%* of all lesbian comedians (*unverifiable but true fact). Gay famous Teddy Bear Butches include Julie Goldman, Alison Bechdel, and Hannah Gatsby. Even Ellen could be considered a bit of a Dandy / Teddy Bear Hybrid when you really think about it. Her whole talk show is designed to give you the warm fuzzies. If your friends are always asking to borrow items from your vast collection of haberdashery, you just might be a Dandy Butch. At peak dandy levels, this butch can tie a bowtie with their eyes closed. She’s an expert hunter of vintage and thrift store clothing, and she’s absolutely the one you want to go to for tailor recommendations. She loves getting all dappered up the way that middle america loves Football. If you hear her jingling when she walks, that’s because she's got a pocket watch chain dangling from one of the buttons on her tweed vest. And it’s only mid-day on a Tuesday. So what do you get the butch that (seemingly) has everything? One piece of style wisdom is worth a thousand pocket squares. Look no further than the short lived 2007 Logo series “Curl Girls” for examples of this category. 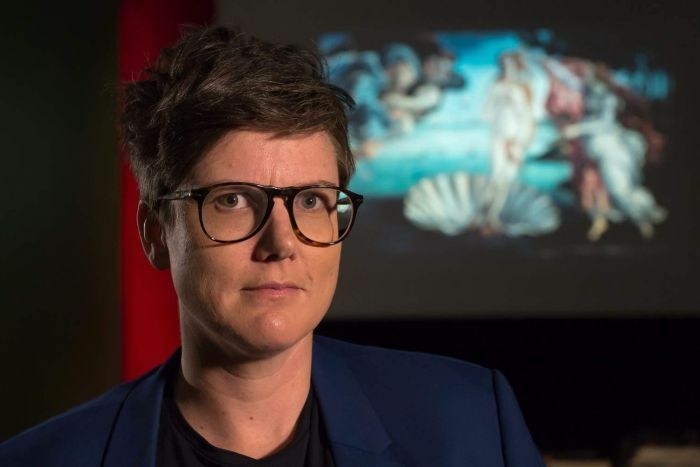 The beach can be a tricky place to be a gay woman, but that doesn’t dissuade this androgynous-leaning butch. 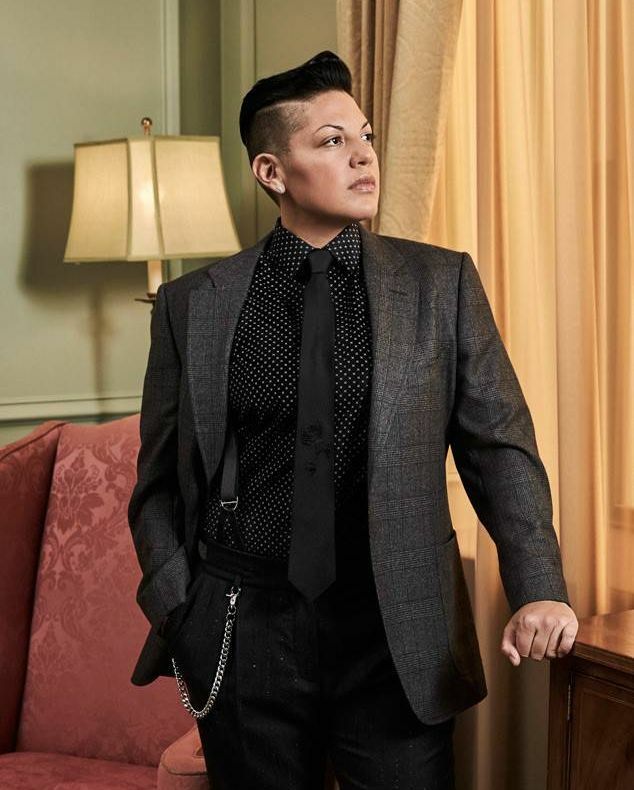 She’s pretty much the only butch you’ll ever find in a bikini top, but that doesn’t change the fact that she’s got serious swag. She is somehow always tan and has that salty sea spray texture to her hair (it’s the hair product she uses, but still). The fully actualized fantasy version of the Beach Butch drives a fully loaded jeep and is intimidatingly good at surfing. She looks great in board shorts, muscle shirts, and short sleeve button-ups, and probably lives in a place where they can be worn nearly year round. Don't be surprised if you also see her sporting some awesome gender-neutral swimwear - she tends to be ahead of the curve on that kind of thing. Not to be confused with the Handy Butch, this category doesn’t have anything to do with building and/or fixing stuff. The 2x4 Butch is adorable but dense. Maybe she’s aloof, maybe she never really learned how to flirt properly. Either way, she just doesn’t pick up on signals, even if she’s interested in the person giving them. Her crush would literally have to hit her over the head with a 2x4 to get the message through that the feeling is mutual. Frustrating as it can be, this trait usually stems from the 2x4 Butch’s sweet, shy, unassuming nature. Once mutual interest is established, she’s typically a wonderfully loyal and devoted partner. Got a 2x4 Butch in your life? Point them to this article full of helpful tips on how to spot subtle queer clues in people’s outfits. It’s never too late to learn how to read between the lines. This butch lives in the city and probably works a desk job, but “woodsy” is a state of mind. No matter how many times a year they actually make it out to the forest, they always stay ready - knit beanies, flannels, and hiking boots galore. They treat every outing like an expedition, and out of all your friends they’re the most likely to always be carrying a pocket knife and a full water bottle somewhere on their person (not a bad friend to have at the end of the night). Even though they seem highly practical most of the time, don’t be surprised when they buy a huge wolf-like dog (no matter how small their apartment is) to match their inner wild side. This butch is full of contradictions. When their birthday rolls around, get them a campfire scented candle or a new multi-tool and you’re golden. It’s your guaranteed path to more roasted marshmallows and wilderness survival facts. What’s your favorite category of butch? Total 2×4 butch here, too. Dangit. Ah hell. 2×4 butch it is.